On March 8th, The Southeast Chapter of the Institute of Classical Art & Architecture announced the recipients of the 8th annual Philip Trammell Shutze Awards, a recognition of excellence in classical and traditional design. The Shutze Awards are named for Philip Trammell Shutze, the Atlanta architect whose work is revered internationally; Shutze is known as one of the 20th century’s most devoted classicists. The awards recognize similar individuals who are contributing to the creation of 21st century classical and traditional architecture and related fields. This year’s judges included Clinton Smith, editor in chief of Veranda, Russell Windham, founding principal of Curtis & Windham Architects and Marc Appleton, Principal of California-based Appleton & Associates Inc. Architects. I have been given permission to share some of the wonderful 2014 Shutze award winning projects on Things That Inspire, and thought that I would start with the Garden and Pool Pavilion by Stan Dixon (architecture) and John Howard (landscape architecture). Photography for this project was by Emily Followill. “The addition of the pavilion, and the pool area complete this house. 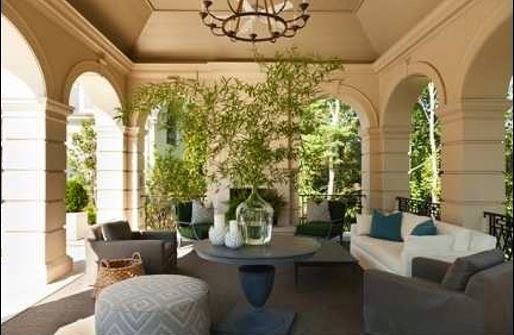 The architecture of the pavilion is simple but strong, creating an attractive outdoor living room experience”. A close-up of the incredible detail on the pool house. 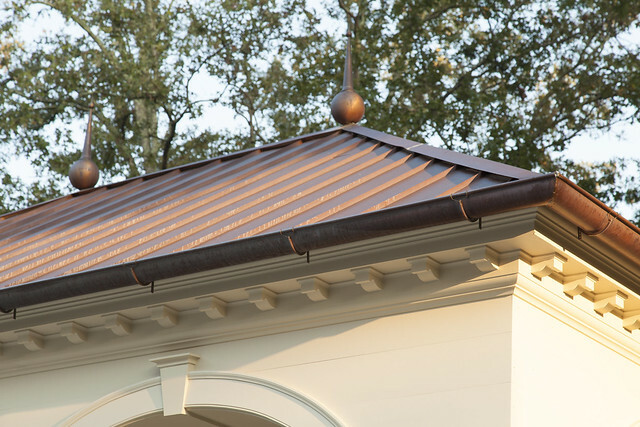 The copper roof and finials are wonderful design elements. A detailed picture of the arch with keystone. The level of detail on this auxiliary structure is remarkable. A view through the arch to the main house. 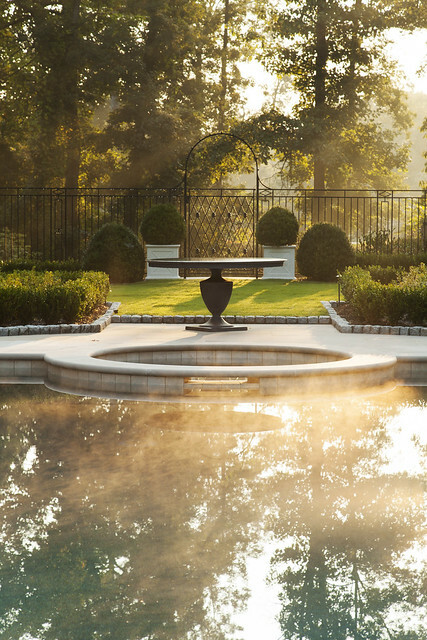 Robert Brown Interior Design selected all of the furnishings for the pool pavilion and outdoor spaces. “The ironwork of the pool fens and the gate on axis at the end of the pool area suggest a threshold to the wilderness beyond. Simply, but beautifully done”. A close up of the marvelous gate. The Southeast Chapter of the Institute of Classical Architecture & Art (ICAA) was founded in 2004. The organization is dedicated to advancing the practice and appreciation of classical architecture and art in the Southeast. 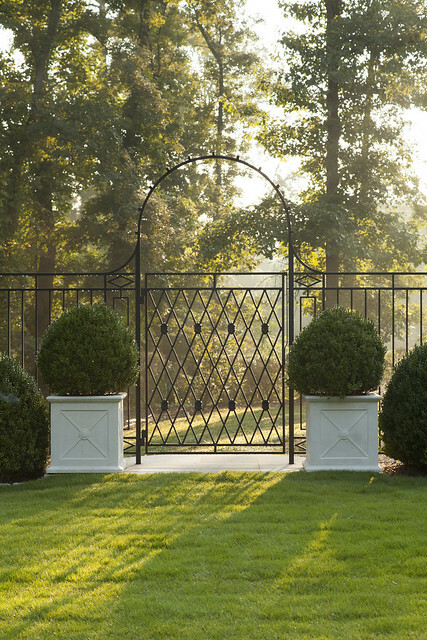 The ICAA is led by an innovative Board of Trustees and holds a diverse membership of classical enthusiasts, architects, interior designers, landscape architects, artisans, artists, craftsmen, contractors, and vendors throughout the Southeast. As a Chapter committed to advancing the timeless lessons of the past, for design today, the Southeast Chapter offers students, professionals and enthusiasts a myriad of lectures, continuing education opportunities, and travel experiences in the classical tradition. For additional information about ICAA, 2014 special programs and 2015 Shutze Award application submission details, please visit www.classicist-se.org or follow the Southeast Chapter of ICAA on Facebook https://www.facebook.com/pages/Southeast-Chapter-of-the-ICA-A/191875360840721 and Twitter https://twitter.com/ICAASE at @ICAASE. 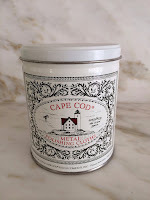 Stan Dixon and John Howard did a beautiful job on this project. Thanks for sharing. Stunning architecture! The furnishin for the pool pavilion are beautiful, too.